I'm excited. I think I've found a book that will probably make it into my top 10 books to give to teenagers. 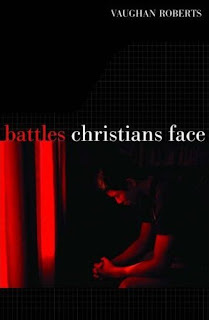 It's called Battles Christians Face and it's written by Vaughan Roberts. I love Roberts' writing. He writes profound truths in an incredibly readable way. His books are suitable for all Christians but are very accessible to teenagers.